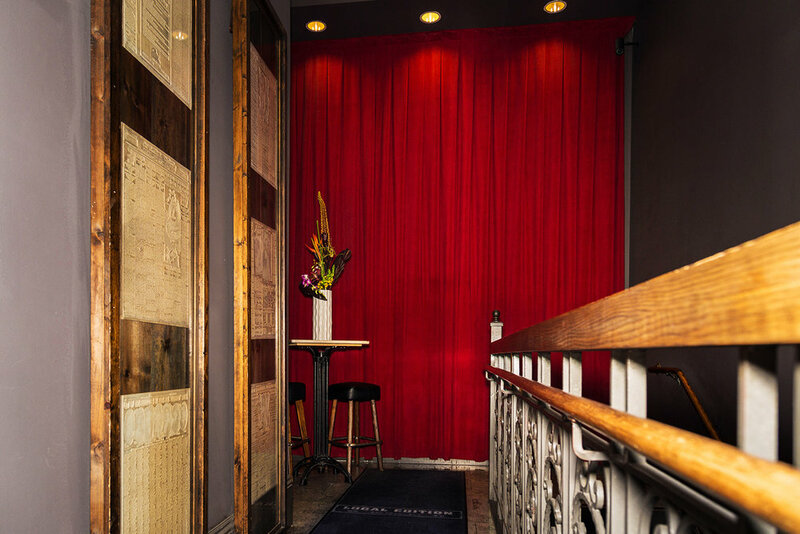 Local Edition is more than just a cocktail bar, it is a place to relax with friends after a long day’s work, a live music venue and perhaps most importantly, a connection to the history of San Francisco. We have plenty of standing space and tables for walk-ins. We are located just before Third St. on Market. Just head down the stairs. Don’t miss your last chance to catch The Cottontails til June! So put on your dancing shoes and have a cocktail or three 🤟. Tonight, Local Edition will be closed for a private event. We’ll reopen tomorrow, Wednesday at 5pm. Come thirsty, bring friends. ‘Dublin Down’ on St.Paddy’s eh? Teeling Irish Whisky, Rum, Angostura Amaro, Orgeat, Lime, Five Spice and Egg white - shaken, stirred garnished with nutmeg. STEVE LUCKY & THE RHUMBA BUMS deliver '40s & '50s-style jumpin' R & B, blues, swing, vintage jazz and original tunes featuring Steve Lucky on piano & vocals, Miss Carmen Getit on guitar & vocals, 2 saxophones, upright bass and drums. Saxophonist Fil Lorenz leads a tight horn ensemble that packs a bold punch, while channeling a classy and textured sound. Backed by a driving rhythm section, the band plays classic renditions of our favorite swing dance tunes...a dancer's delight! The Fil Lorenz Orchestra is a high-voltage, crowd-pleasing big band born of the blues, with a sound defined by a searing, relentless horn section and an exhilarating, sometimes challenging repertoire of well-known burners and fascinating originals alike. With passionate vocals, percussion, and horn riffs, they can make the evening a party. The Cosmo Alleycats is an emerging San Francisco dance band that brings to the stage a potent mix of vintage dance music with a dynamic, soulful delivery.